The Paperboy is back, and he's not going to let anything keep him from delivering the paper. Make sure the paper gets to the subscribers, and try to cause damage to those who don't want the papers. 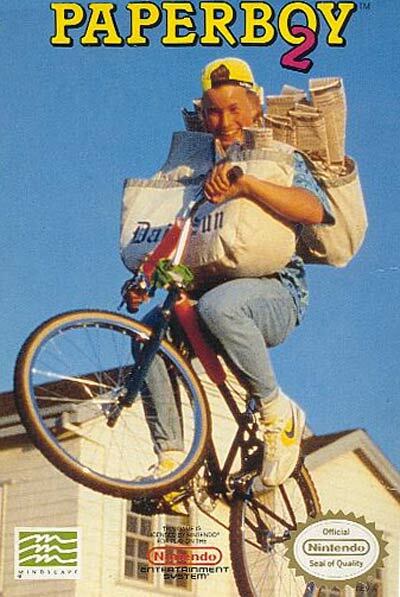 Now, the Paperboy can ride in three directions, fire papers to the left and to the right, and jump higher into the air. When you've finished the route, head to the stunt and BMX tracks for some bonus points. The newspaper is coming whether you want it or not in PAPERBOY 2.